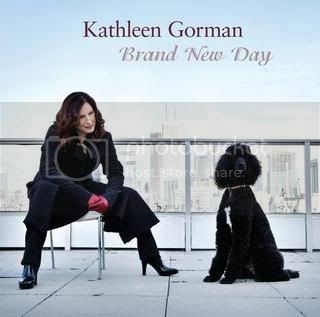 Kathleen Gorman's Page - THE JAZZ NETWORK WORLDWIDE "A GREAT PLACE TO HANG"
I am a jazz pianist, vocalist and composer in Toronto, as well as a Jazz educator, and member of the IAJE and SOCAN and CARAS. Compose for TV and film as well as songwriting for myself and other artists. My 2009 CD, " Brand New Day", of all original music is available at CD Baby and Itunes. This collection of songs and compositions blends jazz, blues, gospel and R & B. Receiving airplay in Canada, the US, and Europe. Written, arranged and produced by Kathleen Gorman. one of the best new original albums of the year. " -- Paula Arab, Calgary Herald Columnist / Editorial Board. Thank you Kathleen, I look forward to hearing you. I hope to be in Canada soon. Thank you for your kind words. My wife and I will be in Toronto Sep 18-20. Will you be peforming anywhere in town? Would love to come see you and network with other Jazz Network family members. Remembering the wonderful Johnny Scott, jazz vocalist/ sax player who performed in Montreal for many years, and was always a delight to hear. I wish you the very best in 2010 and thank you for your kind words. I LOVE your beautiful music and style. Many thanks for the kind invitation !i'm glad to be a part of your jazz network . Great sound and congratulations for the reviews .You are a brillant and eclectic musician . Hey Kathleen - Thanks for requesting me. Great to be friends over here, too. Kathleen, love to have you as a friend. Beautiful music you and fellow musicians are delivering. I will be listening, more!